Tape lights, also known as strip lights or ribbon lights, are an ultra-versatile lighting solution that’s perfect for both home and commercial uses. If you’re not familiar with them, they’re pretty much exactly as the name suggests- a flexible strip of thin LED lights or “diodes” with a tape backing, which can be adhered to different surfaces including aluminum mounting channels to provide linear lighting in thousands of different ways. There are SO many uses for these lights. At home, you may use them for under stair lighting, railing lighting, under cabinet lighting, cove lighting or accent room lighting, etc. 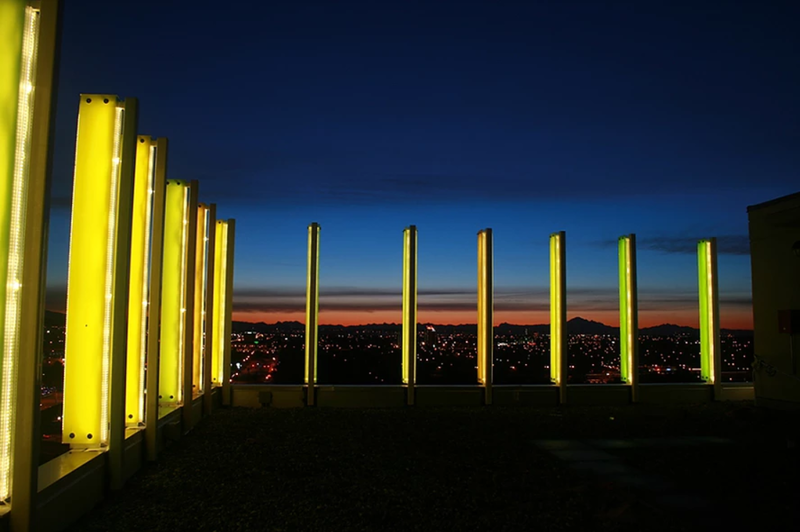 For commercial use, they can be used for pathway lighting, cove lighting, replacing ceiling florescent lighting, building interiors and exteriors, sign lighting, and so much more. You can even use them to light up vehicles, like a work truck. Tape lights are not only extremely versatile, but they’re also very easy to use and customize. Their “peel-and-stick” backing means they’re as easy to install as a piece of tape, and mounting accessories are available for more complex installations. The tape can be cut on cut points along the length, and they can be extended using connectors, so you have just the size you need. And thanks to their LED light source, they can also reduce the energy consumed by typical display lights and reduce the heat put out by puck lighting. Suitable for both indoor and outdoor use, they’re available in a variety of brightness-levels and colours. Tape lights sometimes get confused with rope lights, as they have a somewhat similar shape and function. Rope lights are long plastic tubs with internal lights running along the length. Because they give out minimal light output, they are generally used for more decorative purposes (light Christmas décor), whereas tape lights typically have a more functional and permanent purpose. Our recommendation for the best tape lighting on the market? GM Lighting. Their products are the industry-standard where an energy saving high or standard output LED source is required. And they offer a variety of lengths and options, so you can find the perfect option for your home or project. All of GM’s tape lighting has a 50 000 hour life. The 12VDC tape is available in a number of options. You can choose between 1, 5, and 30 m length, and further customize it by trimming the tape (cuttable at every third LED light). It’s also available in both standard and high output. 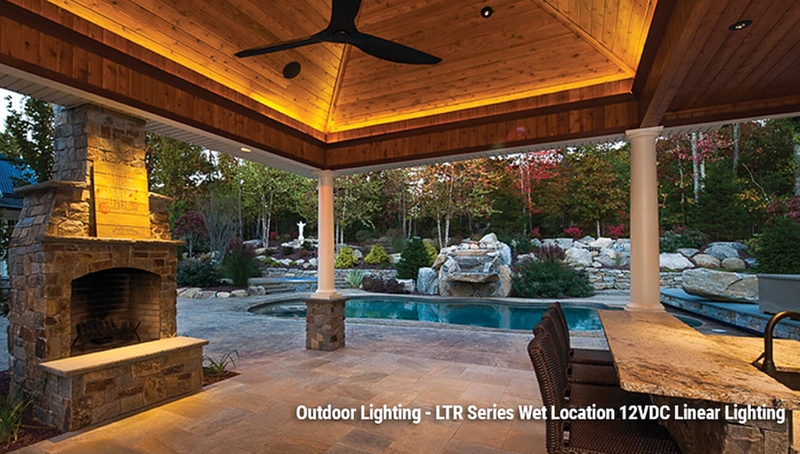 For outdoor use, the lighting is available in Wet Location and Silicone Damp Location. Shop 12VDC Linear Tap here. If you’d prefer some colour, go for the RGB Flexible Tape. Combined with GM Lighting’s Touch Controller and Remote, you can control the colour pallet and colour transitions. This tape is available in indoor and outdoor options, both in the 5m length (cuttable at every third LED light). Shop RGB Linear Tape here. Available in Standard Output, High Output, Super High Output, and Super High Output Wet Location. The biggest benefit to the 24V DC product is when run lengths or output requirements are higher, it allows for more options and will keep the current requirements down. Shop 24VDC Linear Tape here. 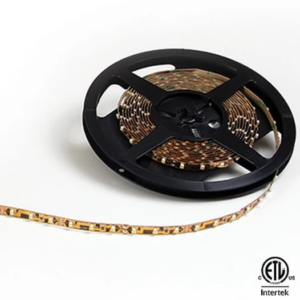 Extend your tape with GM’s Flexible Ribbon Connectors. This is great for large products, where 30m isn’t enough, and means you can more easily customize smaller lengths without having to buy excess tape. Shop LED Ribbon Connectors here. 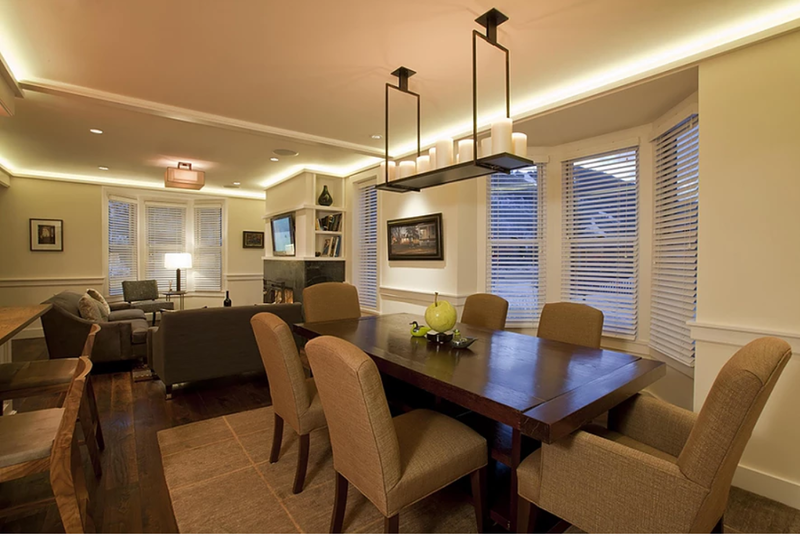 As you can see, tape lighting is a mulit-use product that can not only improve upon other lighting solutions but also work in spaces that no other lighting can.